Restaurant of the Year award. 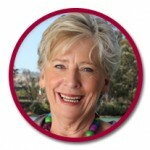 Of all the accolades given to Maggie, being chosen as Senior Australian of the Year in 2010, and then South Australian of the Year 2011, have been two enormous highlights of a truly busy life. In addition to these achievements, Maggie was thrilled to be appointed a Member of the Order of Australia (AM) for her service to tourism and hospitality on Australia Day in 2012. On September 19th 2013, Maggie was absolutely thrilled to receive a Doctor of Business honoris causa from Macquarie University, presented by Vice Chancellor Professor Bruce Dowton in a graduation ceremony for the Faculty of Human Sciences and Faculty of Business and Economics. Most recently, Maggie was thrilled to find herself starring on a postage stamp as one of the winners of the Australia Post Australian Legends Award. Australia Post initiated the award in 1997 to honour living Australians who have made a unique contribution to our way of life, inspired the community and influenced the way Australians think about themselves and their country - and it was agreed that has Maggie’s name all over it!